Are you really into parrots? Enough to dye your hair blue? I hope so because I have started a campaign to raise funding and awareness for Blue Throated Macaw conservation. 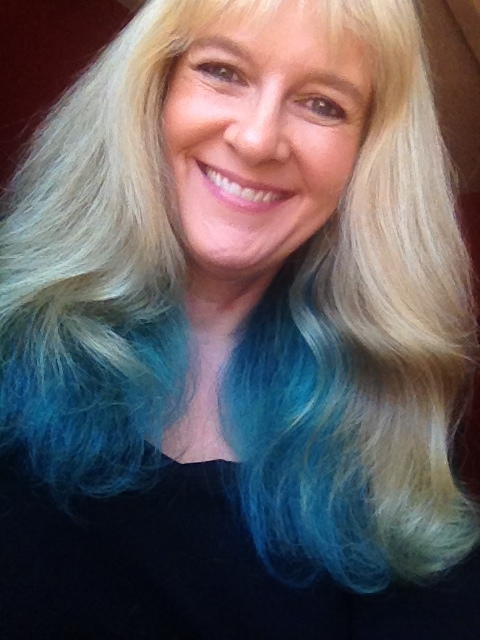 Yes I dyed my hair blue and challenge you to do the same. Learn more on my parrot conservation page featuring Blu Lu the blue throated macaw and her artwork. New! Parrot Training Ebooks. 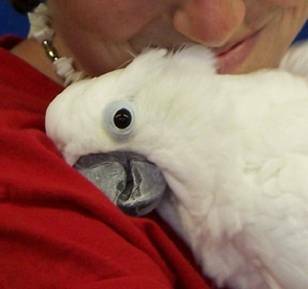 These comprehensive teaching tools include video, audio and written resources to help you address parrot behavior problems and have a great relationship with your parrot. Get the help you need right now. Ebooks are available for immediate download. 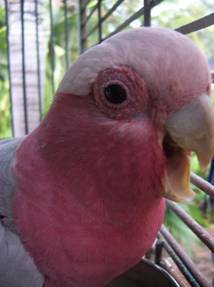 GET HELP FOR PARROT BEHAVIOR PROBLEMS RIGHT AWAY! Come see Barbara live and in person! "I've always known animals were my calling." 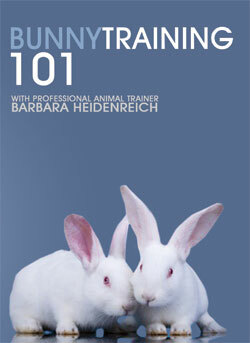 After receiving her degree in zoology and trying many different types of animal-related jobs, Barbara discovered the world of animal training.And what a wonderful discovery it was! Finally, a career where she could get to play with animals! In 1990 Barbara Heidenreich began training birds and staff in zoos around the country for free flight educational programs. 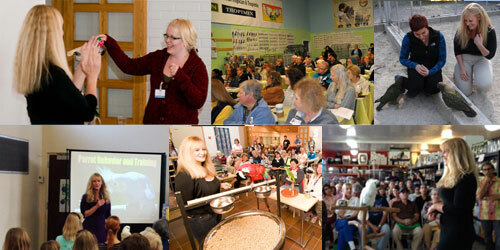 This eventually evolved into consulting on animal training around the world. Barbara Heidenreich has served on the board of directors for the International Association of Avian Trainers and Educators for 12 years and was honored to be the first female president of the organization. The companion parrot community is one that is near and dear to Barbara’s heart. 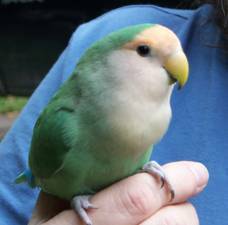 She has had a companion parrot, a Blue Fronted Amazon parrot named Tarah since 1987, and now has several other parrot additions to the household. 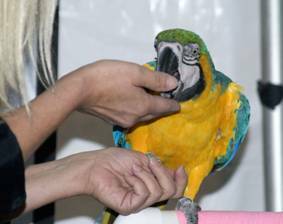 Over the years of presenting free-flight bird shows, Barbara often received questions pertaining to companion parrots in the home. 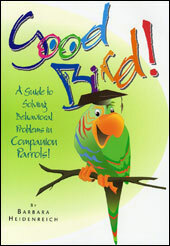 These questions lead her to pen the manuscript to her first book “Good Bird!” A Guide to Solving Behavior Problems in Companion Parrots” back in 2002. Since then she has authored a second book, produced a series of instructional parrot traning DVD’s and launched Good Bird Magazine. She teaches parrot training workshops around the world and is thrilled to have had the opportunity to train thousands of companion parrots. This experience makes Barbara’s teachings truly unmatched. This hands on experience with so many different individual parrots has been invaluable to helping her provide caregivers the tools they need to have a great relationship with their parrots based on trust. 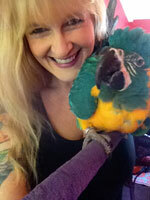 Barbara Heidenreich is busy working on more resources for parrot enthusiasts. Join the Good Bird Inc mailing list and be the first to know when she has something new to help you with your parrot behavior challenges and parrot training goals. 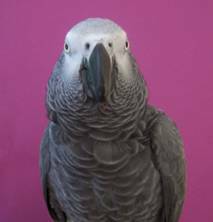 Check out our complete line of books, DVDs and training supplies for your parrot! Click HERE to go to the Parrot store page. 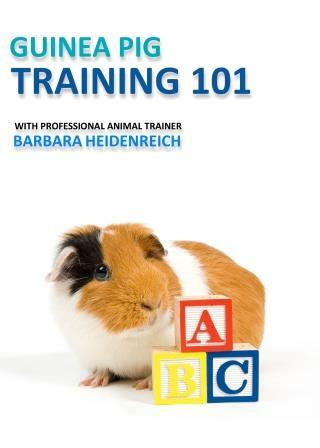 The first in our series of Parrot Behavior and Parrot Training DVD's, this DVD covers the basic fundamentals of training your parrot with positive reinforcement. Reading you parrots body language is one of the most important skills you can learn to help you build a relationship with your parrot based on trust. 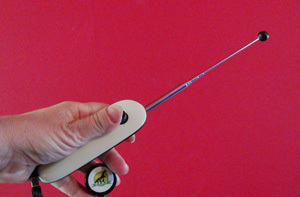 Telescoping Target Stick with Clicker. Training supplies to help you train your pet. Just wanted to drop you a note and let you know the seminar today was AWESOME! It is so different to see the training in person and then watch in real time what can happen! The people were great and you put so much information in my head - I think it is spinning.